I gotta tell you, after spending this week enduring Hurricane Sandy-turned Nor’Easter-turned nightmare and the ensuing loss of power for days, I was just ready to go home, sleep in my own bed and make some food. But I was tired. And by tired, I mean tuckered-out tired. My good friend Jodi put up with my sorry self since Sunday while I waited for the power to be restored in my freezing cold house. Finally, the power came back last night and it really is such a relief to flip on a lightswitch and get light. Plus, there really is nothing better than sleeping in your own cozy bed. 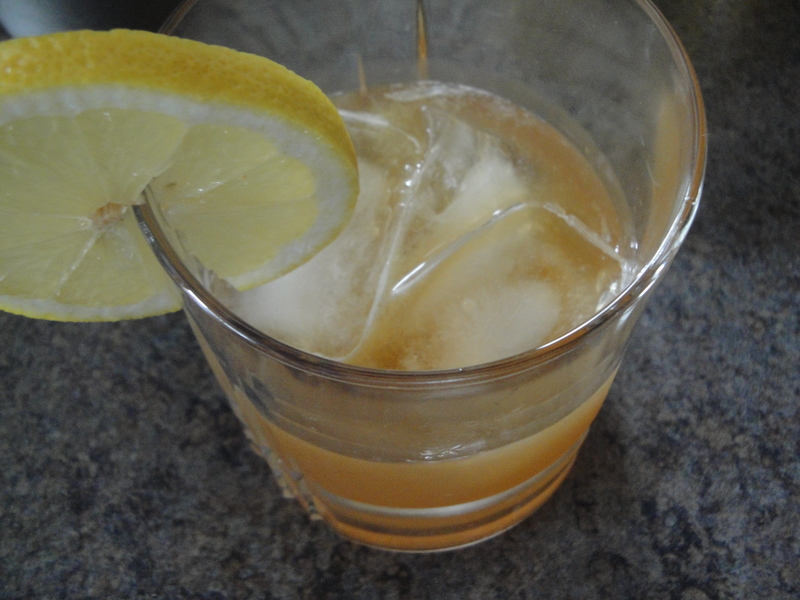 Because I anticipated losing power this week, I figured it was a great opportunity to bring you something that doesn’t require the use of electricity and helps that lonely time go by faster: Maple-Bourbon Sour. 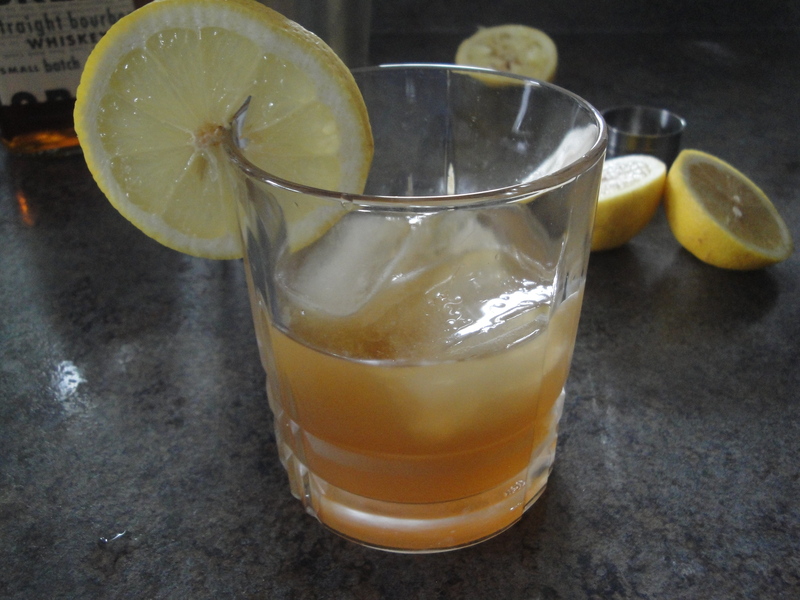 Bourbon is mixed with nothing but maple syrup and lemon juice. 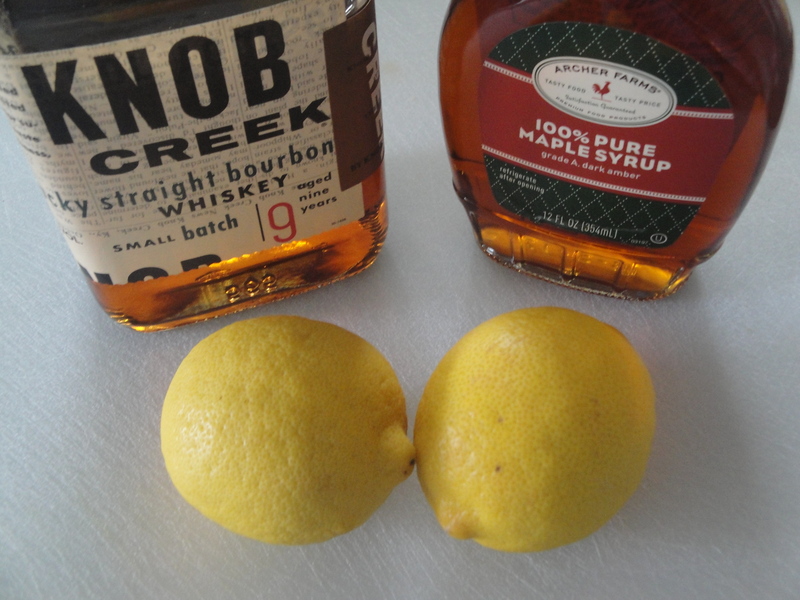 Sounds kind of crazy but the sweetness of the syrup and sourness of the lemon balance each other out while the smoky maple complements bourbon perfectly. When I got home last night, I really didn’t have the patience to make one of these but instead poured myself a red wine and tucked myself into bed while I watched tv. In the dark. Yes, after complaining about losing power, I barely turned a light on when I got it back. All I really wanted was my tv. I’m a loser. After seeing what happened to the New Jersey coast this week, I’m grateful that my biggest problem was a loss of power. I have to say that this week has been an emotional and heartbreaking time for those of us in New Jersey. I didn’t grow up here but I’ve been here long enough to know just how special and important the Jersey shore is to the people who live here (and yes, it’s really called the “shore” here, not the “beach”). It’s not just a stupid tv show (which I refuse to watch), it’s a way of life and a piece of the people here. It’s their heart and soul. And it will recover. 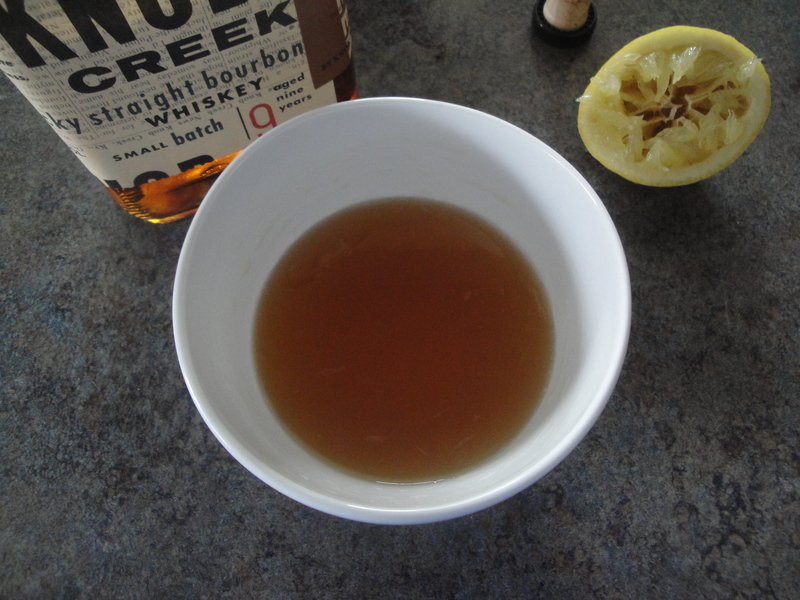 Combine bourbon, maple syrup, and fresh lemon juice, stirring well. Pour mixture into a cocktail shaker filled with 1/2 cup ice. Cover and shake. Strain mixture; divide evenly between two glasses. 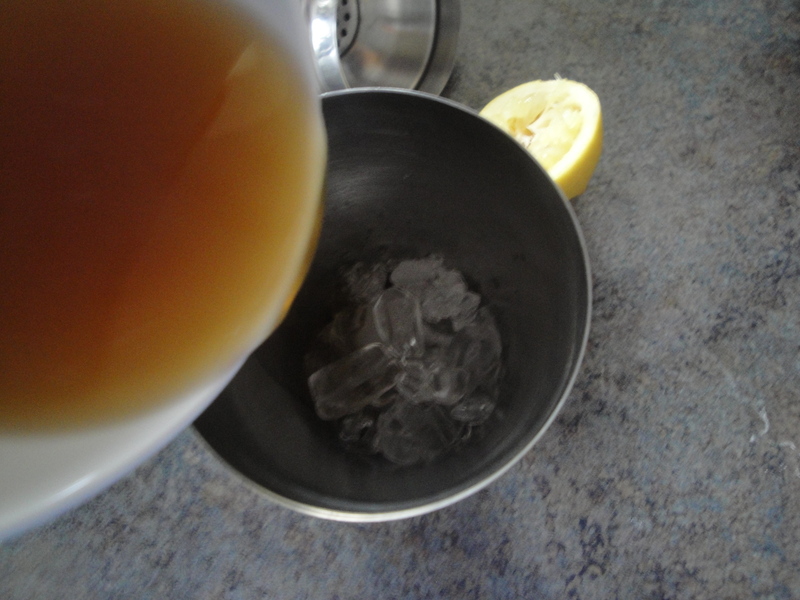 Serve over ice, if desired.